Fall is the season to stuff things. Stuff your grocery cart with yummies. Stuff your turkey with stuffing. Stuff your face with pumpkin. 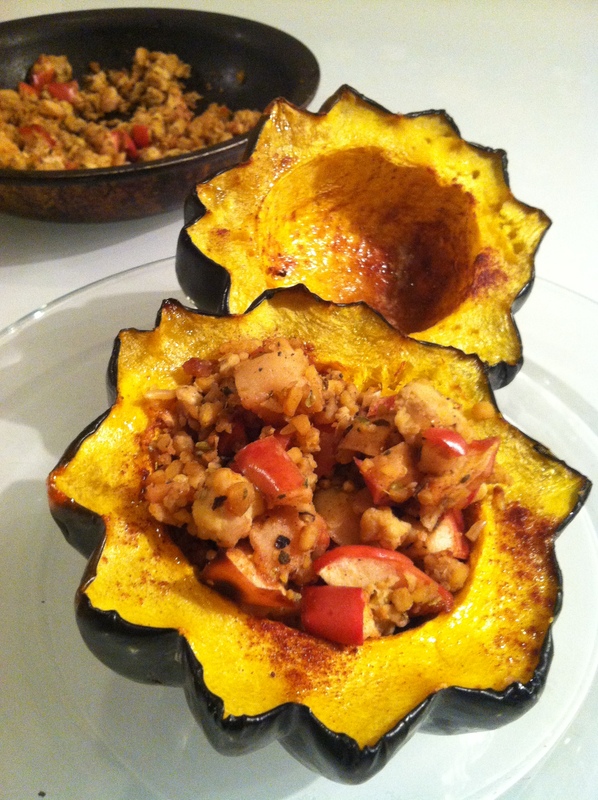 Acorn squash is one of my favorite fall eats because it doesn’t require an intense arm workout when you hack it open. It also tastes delicious and the seeds are fabulous when roasted. 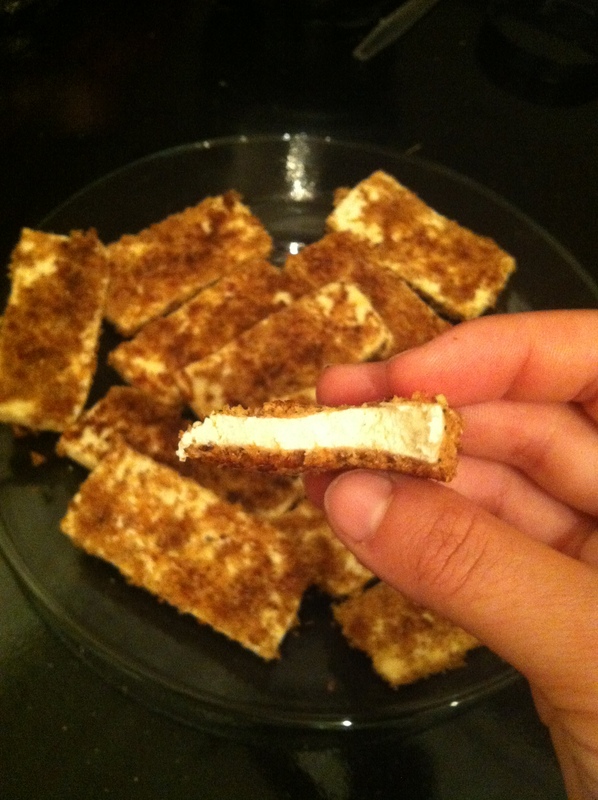 Usually I just slice it in half, add a dab of butter + a hefty dose of cinnamon and maple syrup and bake it. 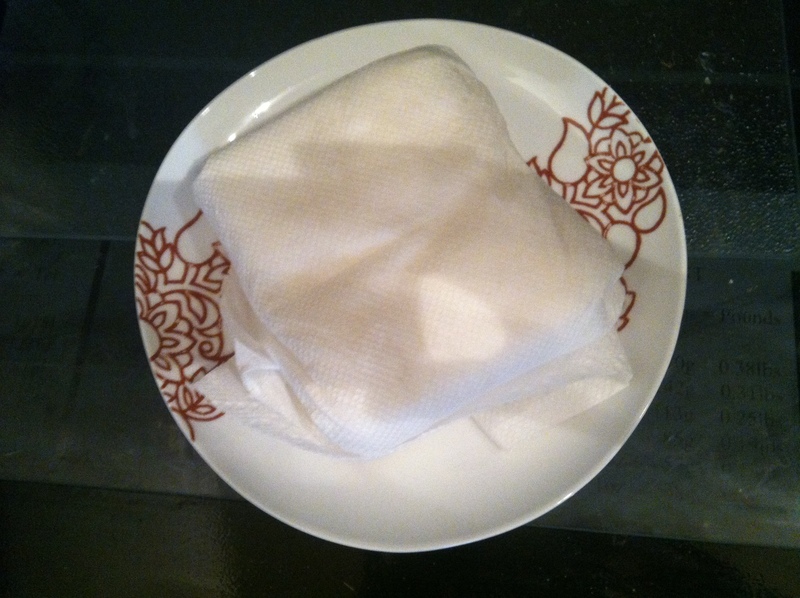 But since it looks like a bowl, I figure I should use it as such and stuff it with some crispy tempeh and baked apples. Because why not? Sweet, salty, savory. 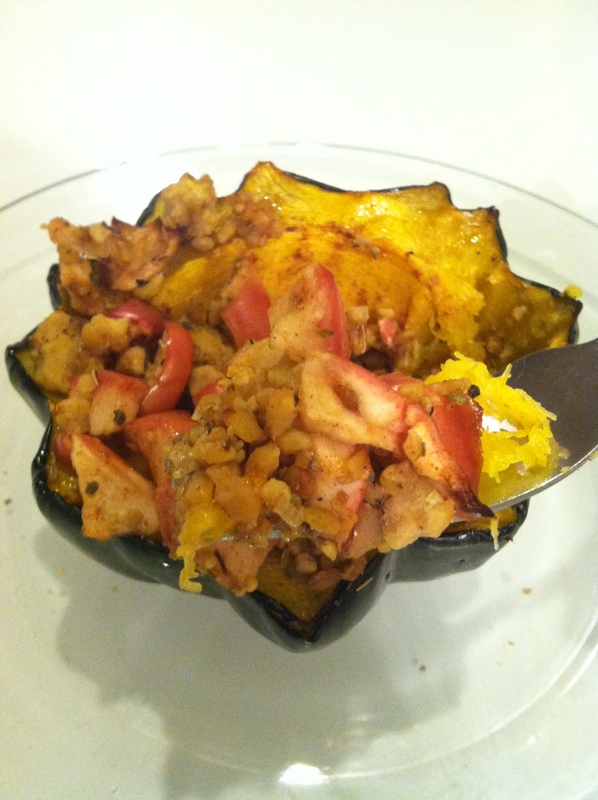 Go ahead, stuff your squash with tempeh. Your jeans won’t mind a bit. Pre-heat oven to 400 degrees. 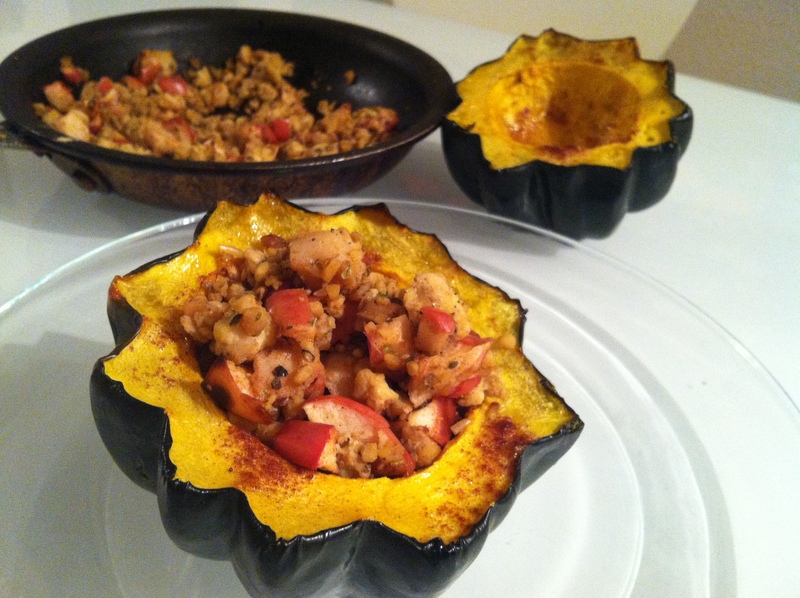 Slice your squash in half and scoop out seeds. 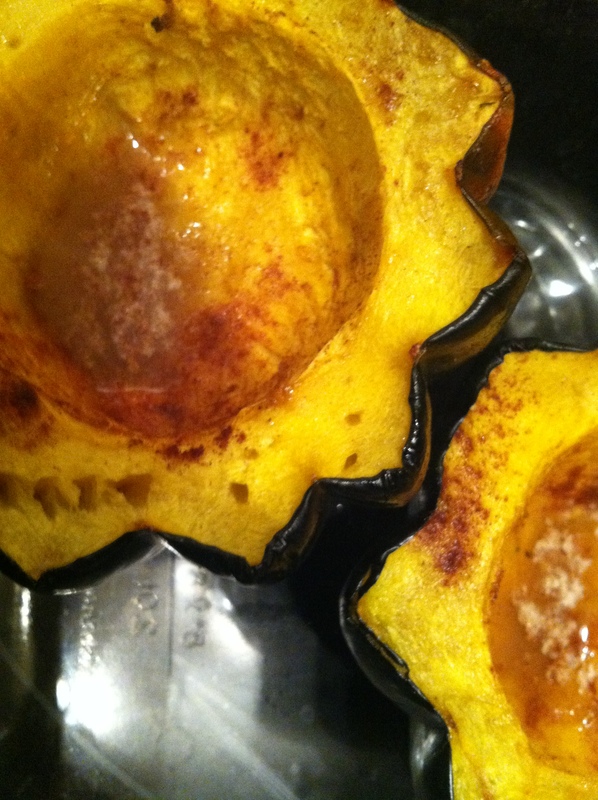 Place in a glass baking dish filled with 1/4 inch of water (so squash doesn’t burn). 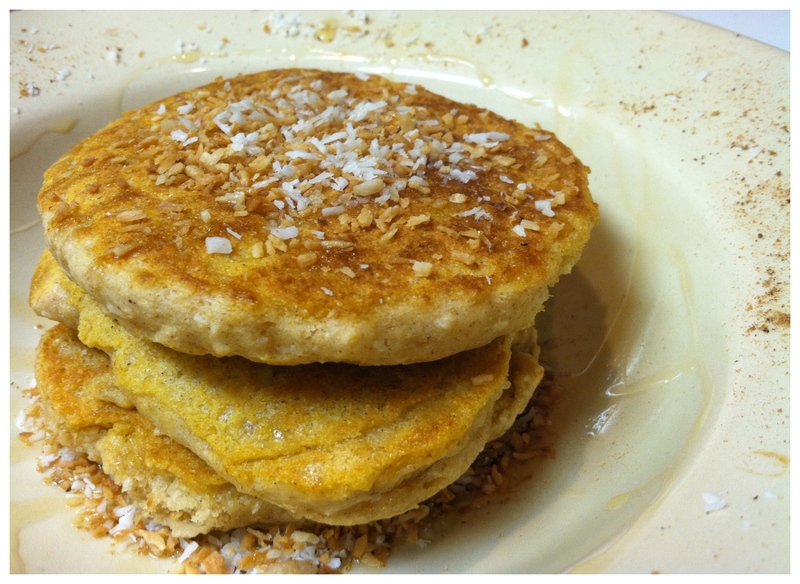 Fill each half with a small spoonful of butter or coconut oil, cinnamon and a drizzle of maple syrup or brown sugar. 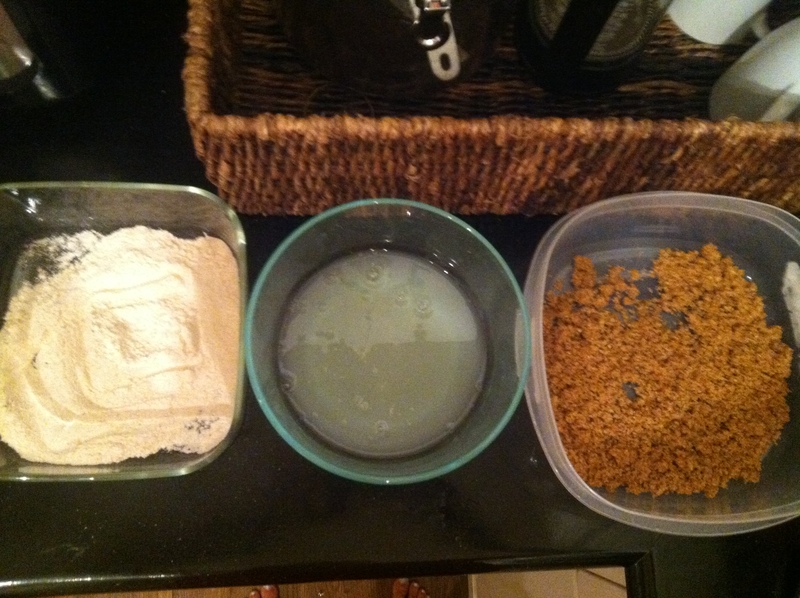 Bake for an hour to an hour and fifteen minutes. Meanwhile, dice apple and spread onto a sprayed baking sheet. 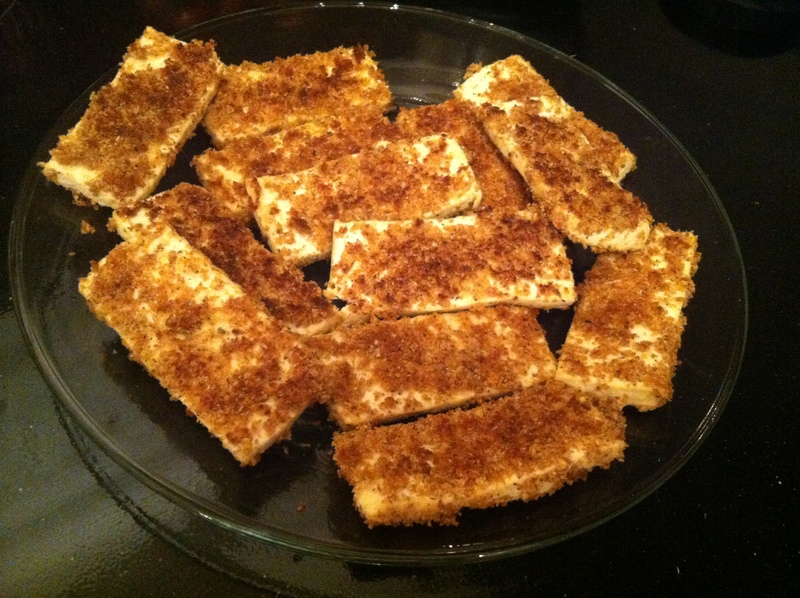 Toss with cinnamon and maple syrup. Bake for about 15 minutes (you can bake the apples while the squash is baking as well). 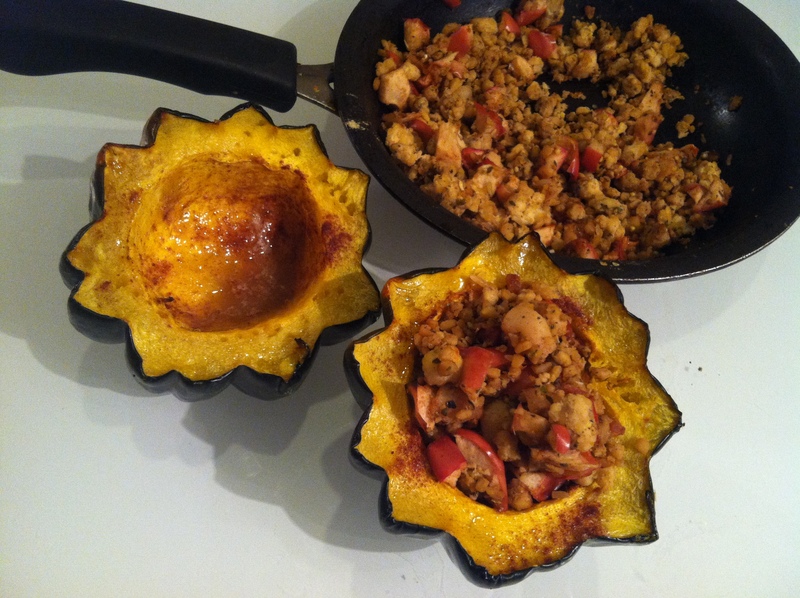 While the apples and squash are cooking, heat a bit of oil in a medium pan over medium heat. 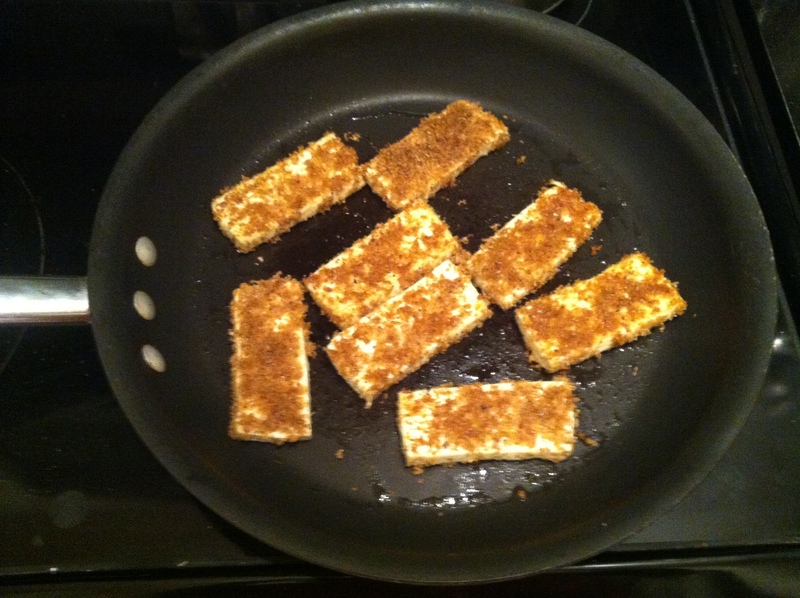 Crumble tempeh and add to pan. Add in all the rest of the tempeh ingredients and sautee for about ten to twelve minutes or until browned and fragrant. Add in apple mixture and stir to combine. 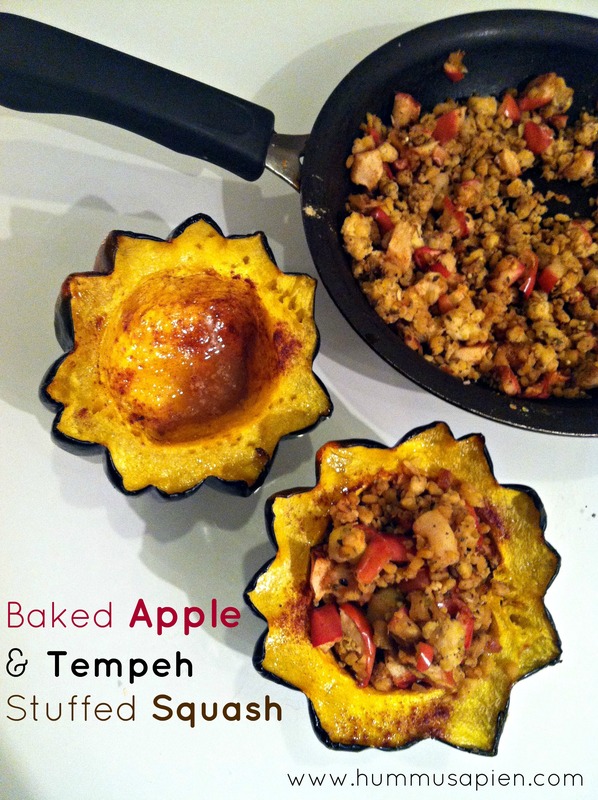 Once squash is done, fill each half with tempeh apple mixture. Stuff your jeans with your big happy belly. 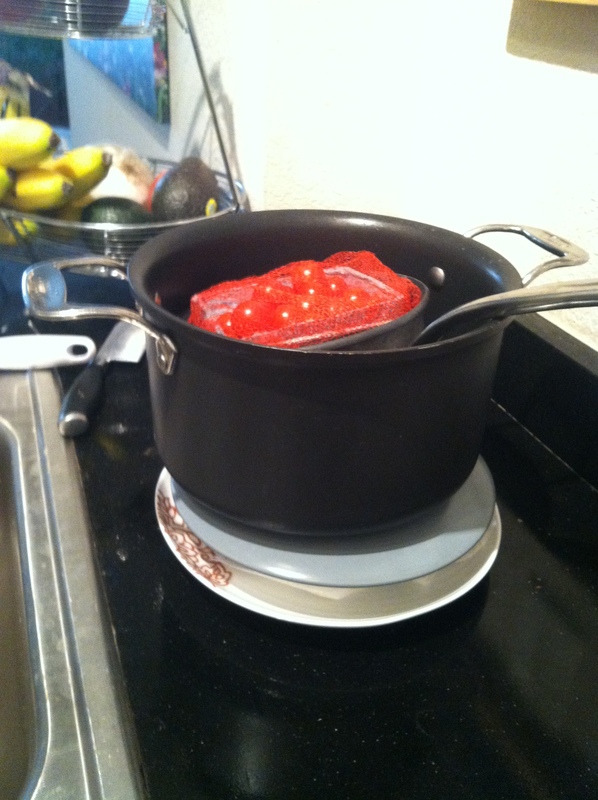 I love cooking up a bunch of stuff on Sunday so I can be lazy all week and pack my lunch without having to think. Blissful mindlessness. 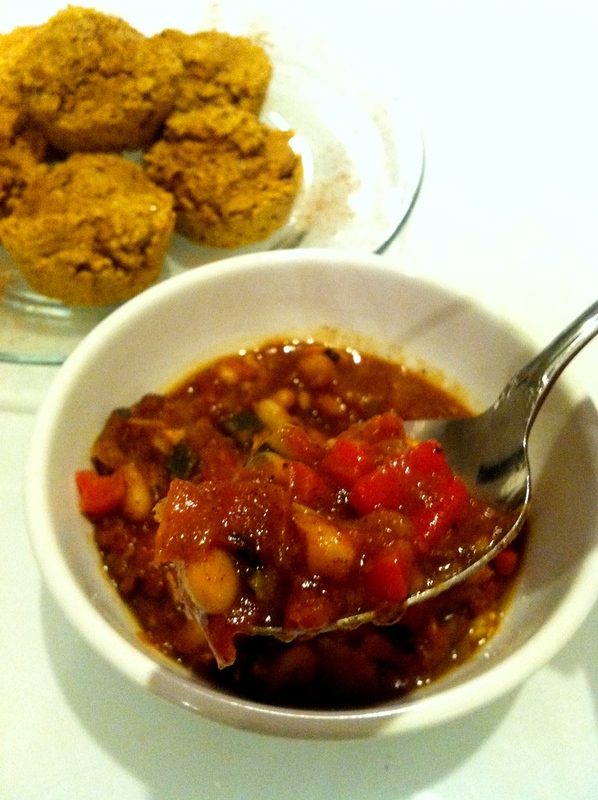 This week I made pumpkin chilli, pumpkin cornbread muffins, greek quiches, and pumpkin mac and cheeze. I went a little pumpkin overboard this week, but not really since I am OBSESSED with pumpkin and really don’t get tired of its healthy deliciousness. Breakfast was a couple quiches and some fruit, lunch was chilli + a muffin + an apple, and dinner was something quick I threw together at home. The prep on Sunday really proves to be worth it when you come home from work or class too drained to make dinner let alone think about packing breakfast and lunch for the next day. 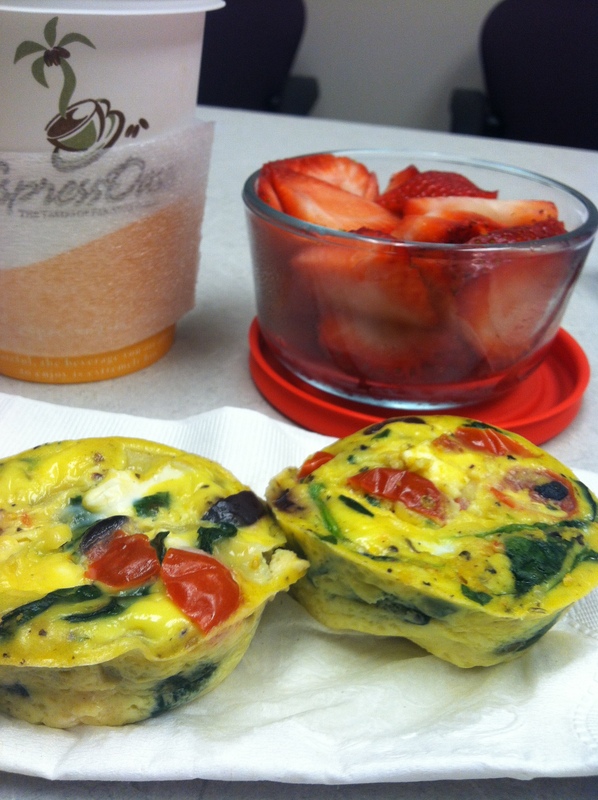 Mini greek quiches with strawberries on the sides + coffee with soymilk and honey. 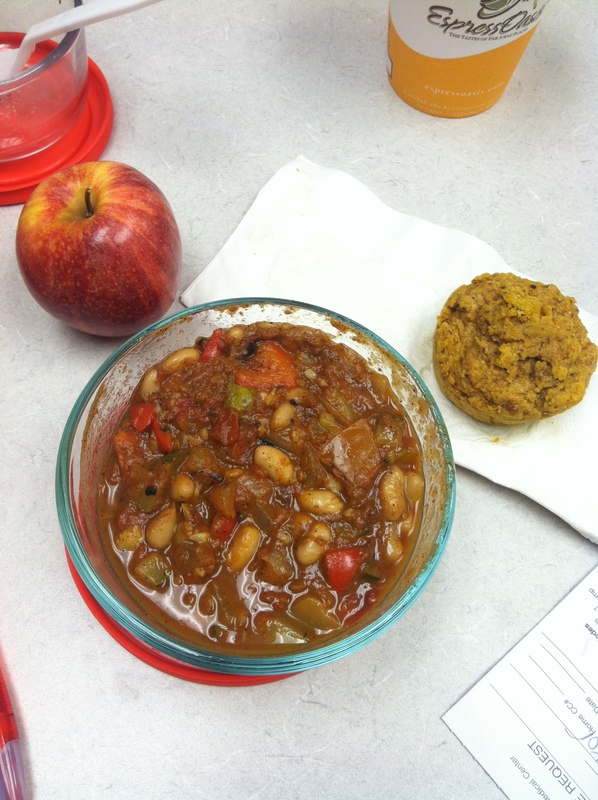 Pumpkin chilli with a pumpkin cornbread muffin + an apple. 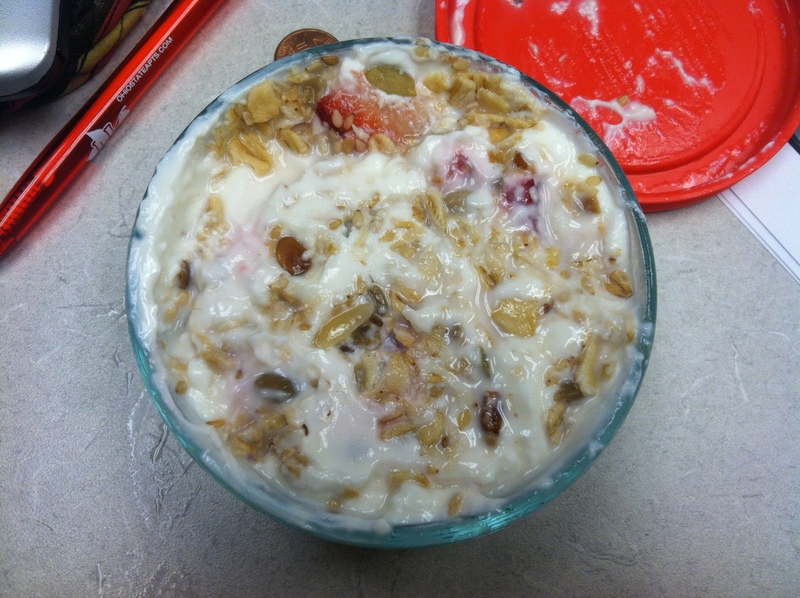 Plain greek yogurt with strawberries and granola. 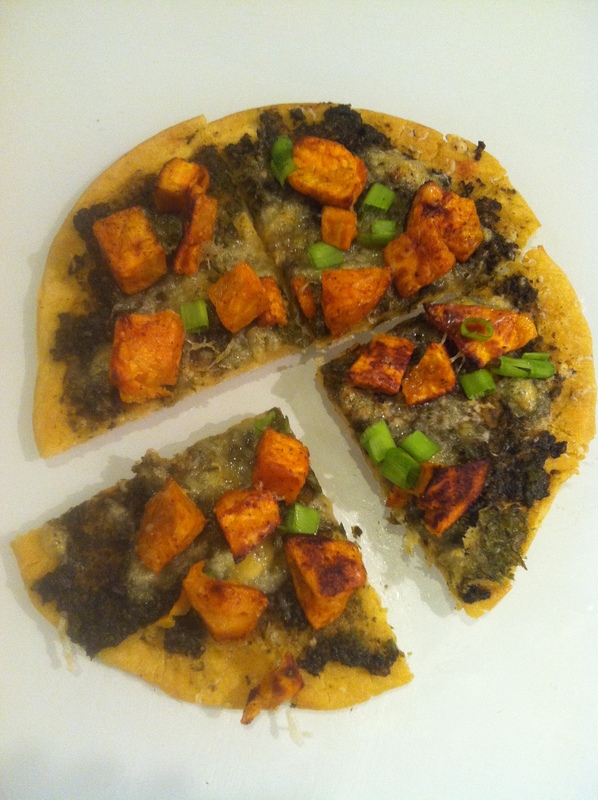 Sweet potato pesto and cheddar pizza on a chickpea flour crust. Deeeeevine. Recipe on Thursday! 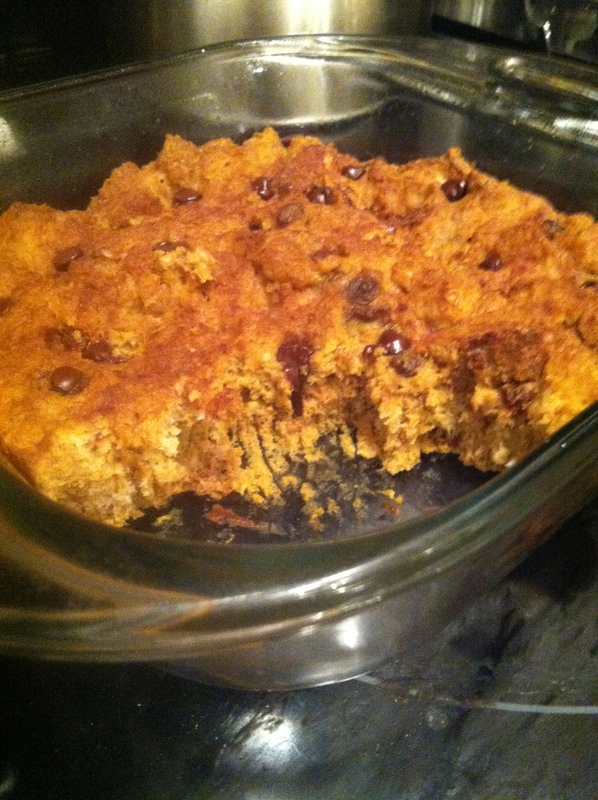 Then I snacked on, or ate a fourth of, this attempt at a pumpkin bread pudding/french toast bake. It wasn’t quite sweet enough when I took it out of the oven so I tucked a chocolate chip or two or eleven here and there and shoved multiple forkfuls into my mouth. Aaaaaaand it’s 10:30pm and the tummy’s growling so I will probably eat hummus with some vehicle within the hour. 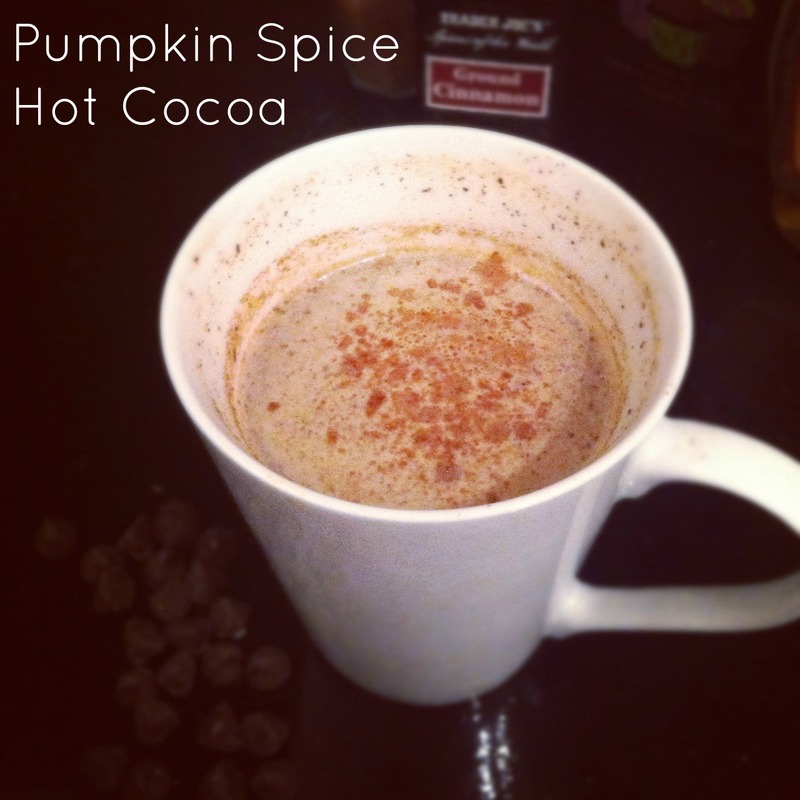 Or maybe pumpkin spice hot cocoa. 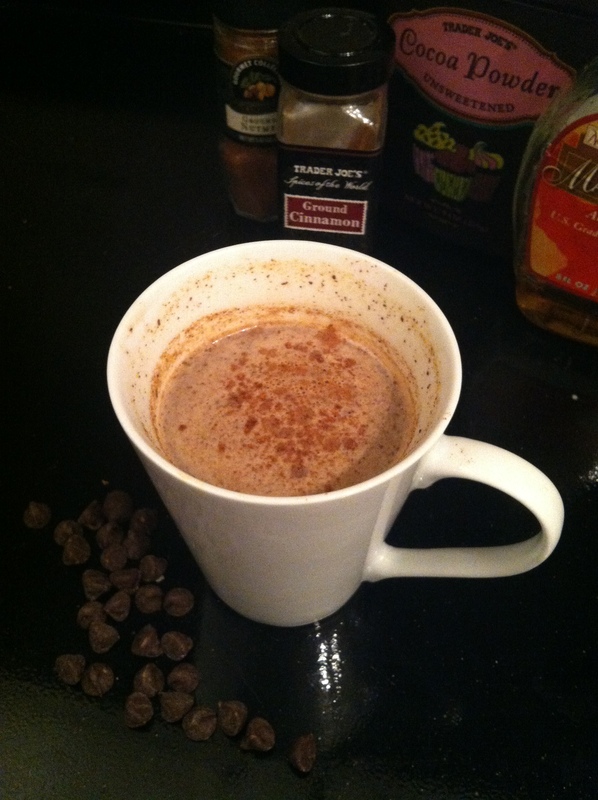 Since you probably have an awkward amount of pumpkin left in a Tupperware in your fridge due to all the pumpkin recipes I’m forcing upon you, I present you with a delicious little seasonal drink in an effort to get rid of that last tablespoon. I actually drank this Sunday night, made it again Monday morning and then added it to a cup of coffee to make a pumpkin latte. It was a really, really good idea. Pour milk into a microwavable mug and heat for about 90 seconds. 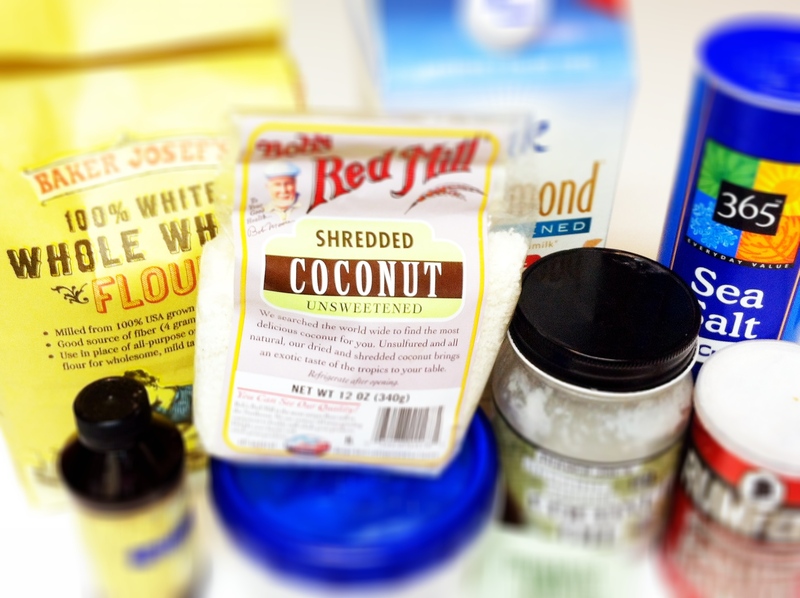 Add in the rest of the ingredients and stir very well to combine. I wonder if my skin will start to turn slightly orange. I really wouldn’t mind that one bit. Swamp Monster Juice: pear, carrot, beet, apple, kale. Or simply, green greatness. Protein Salad: chickpeas, grape tomatoes, cucumber, sunflower seeds, currants, alfalfa sprouts, grilled tempeh on baby spinach with creamy cilantro lime dressing. I could rave for a page, but I’ll spare you. 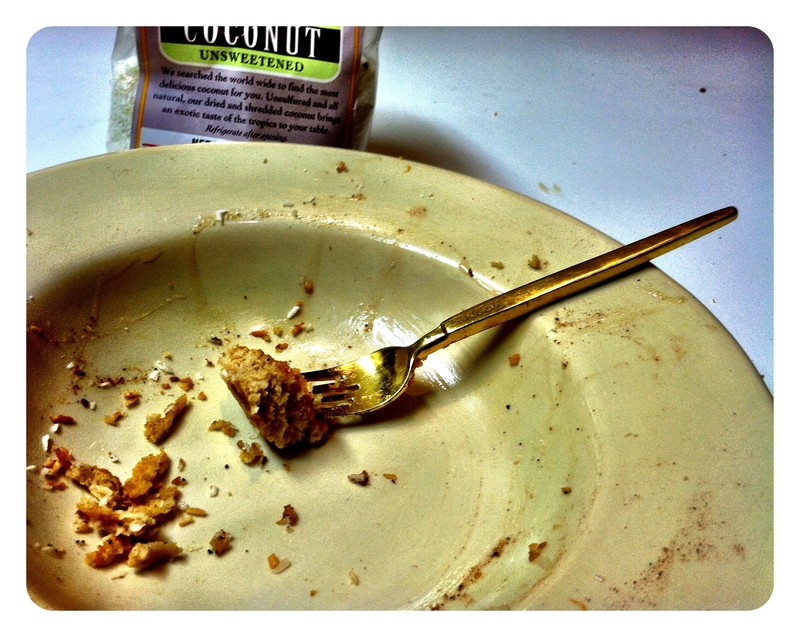 Vegan Coconut Cream Pie. Sold out, obviously. Fajol ordered bean and cabbage soup—sounds boring, tastes pretty divine. When I really enjoysomething, I usually say “Oh my god; this is divine.” But calling that salad beast and fresh juice merely divine would be a grave injustice. The array of organic veggies and their ridiculously creamy partner in crime were the epitome of divine, thus the classic, “Oh my god; I’m dying,” was in order. But I actually didn’t die. Something happens when I eat something that is beyond good, and it would be a lie to say that a little part of me isn’t happier after each bite. If a cat has nine lives and a homosapien has one life, then a hummusapien has about a million, considering that I nearly die every time I eat something amazing. Take the Whole Foods hummus quartet, for example. When the adorable kiddies that I babysit showed me this goldmine hiding from me in their fridge, I nearly passed out . I thought, wait–what could be better than Whole Foods black bean hummus? Whole Foods black bean, roasted red pepper, original, AND garlic hummus!! Humbelievable, I tell you. 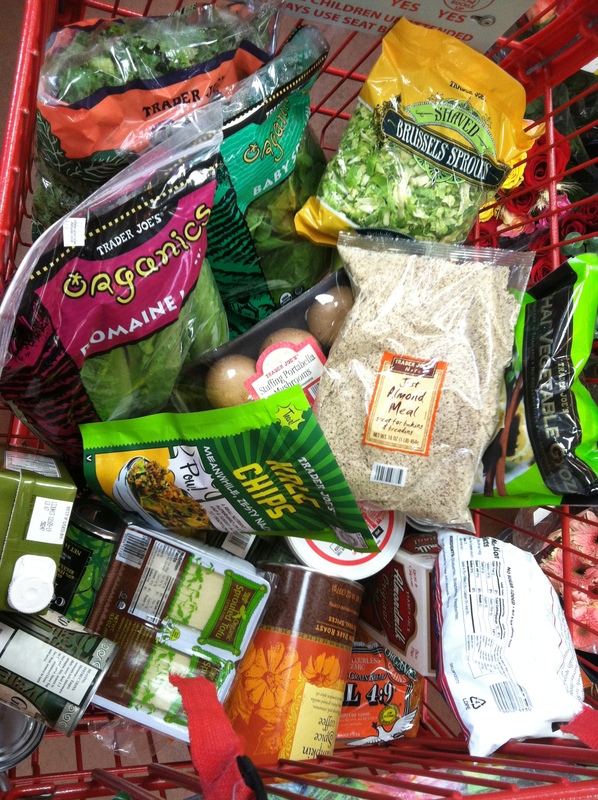 My passion in life is all things nutrition, health, and whole foods (the real ones and the store). I love eating about as much as I love being healthy, so when the two come together, you can imagine the near death experience. I don’t live for food and nutrition—I die for it. At least twice a day. 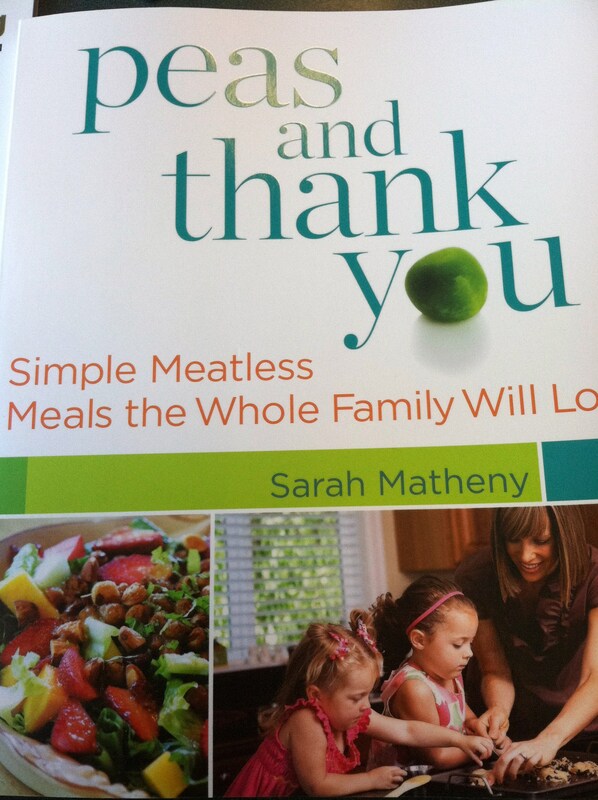 This day is not only important to me because it marks the day that I finally start the blog I’ve always wanted to start, but also because it is the day that the Peas and Thank You cookbook is released. After a quite haphazard parking job, I arrived at Barnes and Noble armed with my tall Starbucks iced coffee- light ice-skip the sweetener-add soymilk at 10:00am sharp to get my hands on the book of all books. Yes, I already pre-ordered one a month ago, but according to Amazon, it won’t arrive until tomorrow… and let’s be serious, I had to read one today. 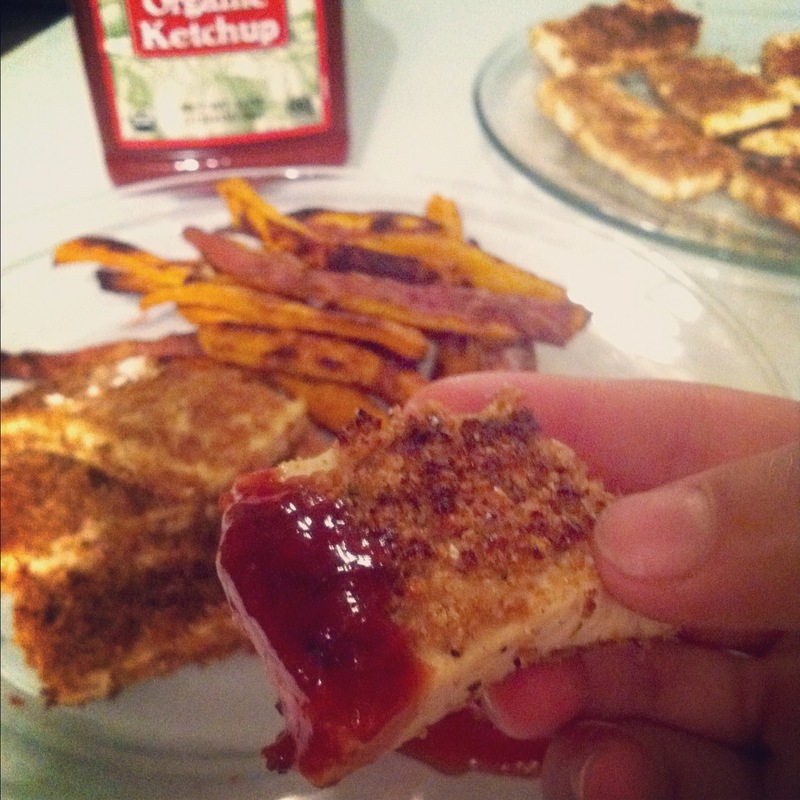 Mama Pea is my all time favorite blogger, not to mention an inspiring mother/chef/yoga-er/Trader Joe’s connoisseur. Her inexpensive, meatless, straight-up delicious recipes have long inspired me to start my own blog and help my friends and family see how fun it can be to give veggies a little love here and there. So gracias, Mama Pea! 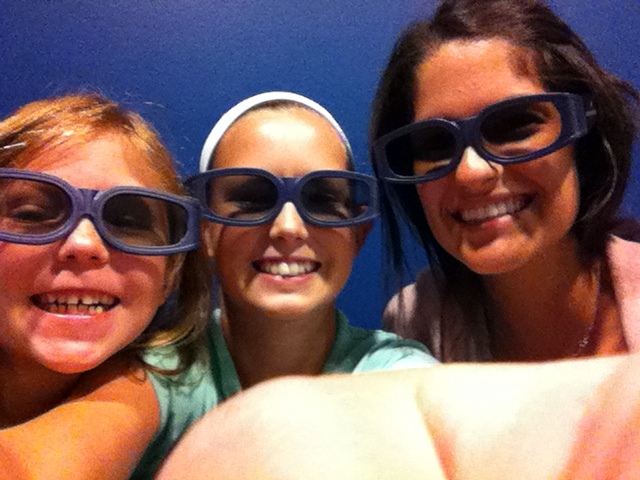 Honorable mentions go to an extremely hungry Hippie, a glowing gal and Kwirky Katelyn. You all rock my socks off post after post and cause me to utter those words-that-shall-not-be-named waaaaaaay too often… Dare I say it? I was so excited to start the blog and read Peas and Thank You that I nearly forgot to eat my beautiful-babysitting-toasted oat bran-overnight oats! They sat there in all their delicious glory, accidentally covering the face of a woman who believes in “one easy move to SLIM all over!” Hmm, sounds familiar. Just like when I consider telling the babysitting kiddies, “The tooth fairy is real! She’s just a very busy lady.” Believe what you will. A million and a half healthy food comas later, here I am, beginning my life long journey loving and talking about all things healthy, humbelievable and dee-vine. I hope to inspire you all to embrace your inner hummusapien, avocado-sapien, chocolate-sapien…or whatever divine delicacy that defines you. 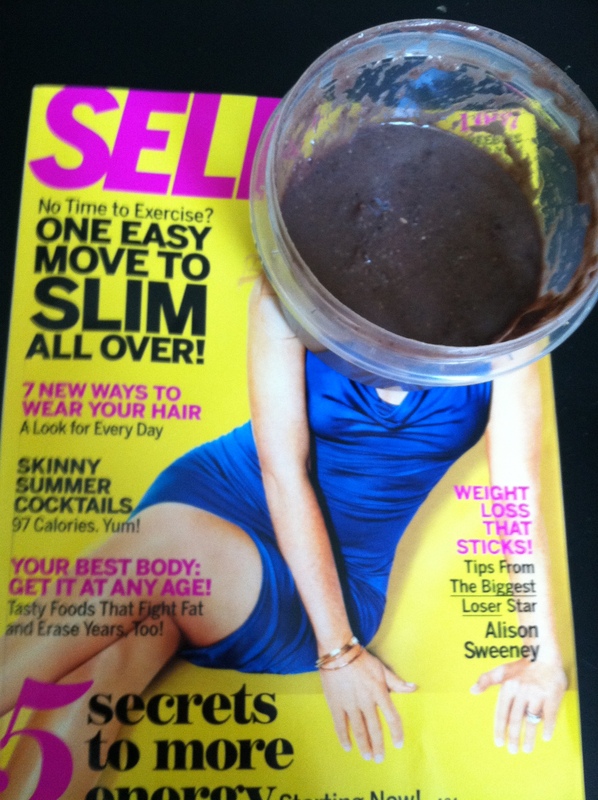 Because hey, you may die every time you eat double chocolate-single chin brownies, but you only live once!